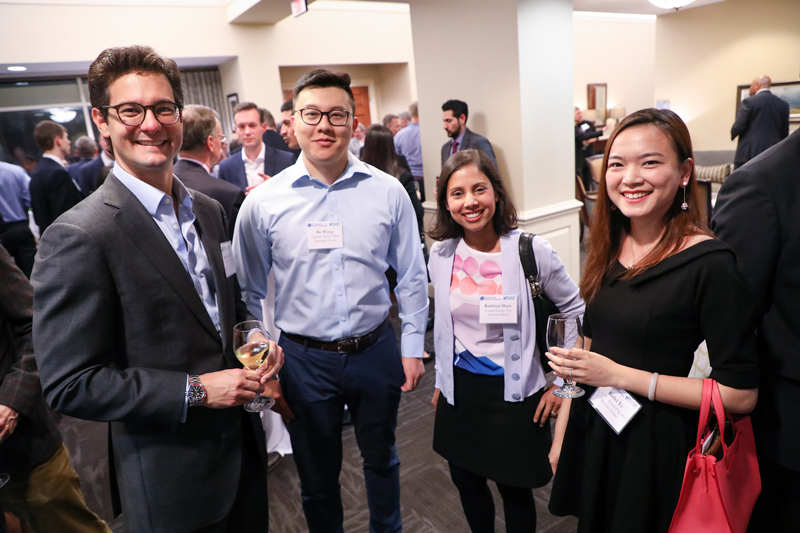 On Nov. 1-2, leading practitioners and top researchers from around the world joined together at the tenth annual Private Equity Research Consortium (PERC) Symposium in Chapel Hill, NC. 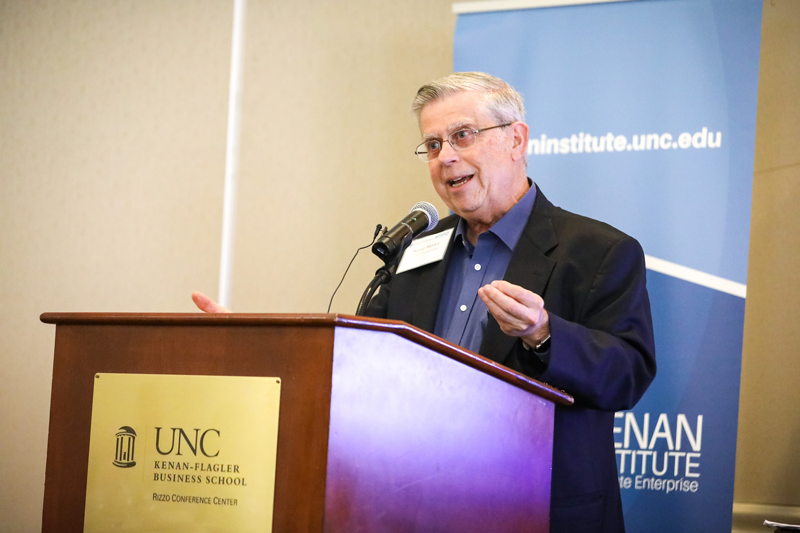 Hosted by the Institute for Private Capital, an affiliated center of the Frank Hawkins Kenan Institute of Private Enterprise, the conference has established a reputation as leading the discussion between leading academics and practitioners in the private capital arena. This year’s symposium not only unveiled the latest research insights, but also served as an occasion to look back at ten years of achievements and successes. 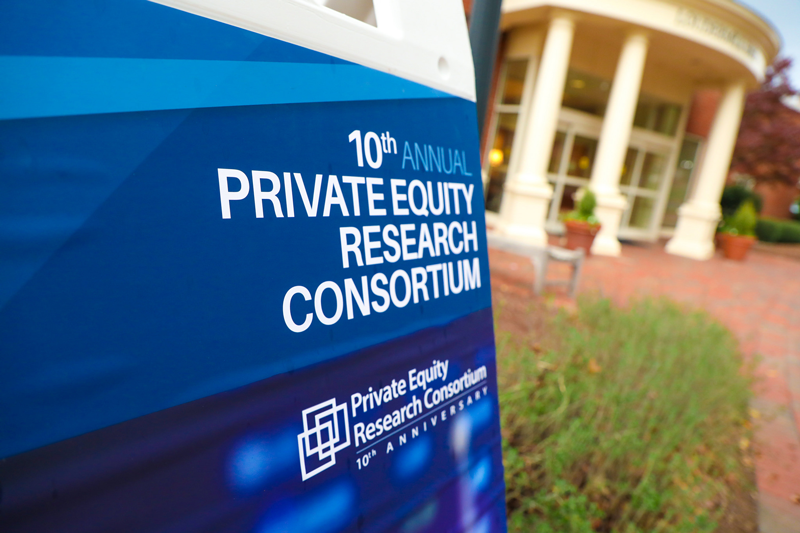 The 10th annual Private Equity Research Consortium was held at the Rizzo Center in Chapel Hill. 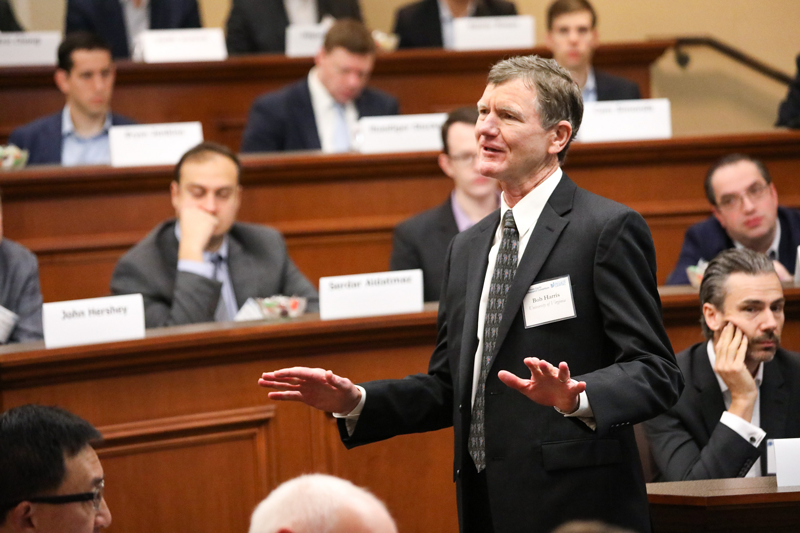 Bob Harris, C. Sheppard Professor of Business Administration at the University of Virginia’s Darden School of Business, chaired “Private Equity Mechanics”. More than 100 academics from across the world convened at the consortium. Attendees mingled at a welcome reception ahead of the evening’s proceedings. 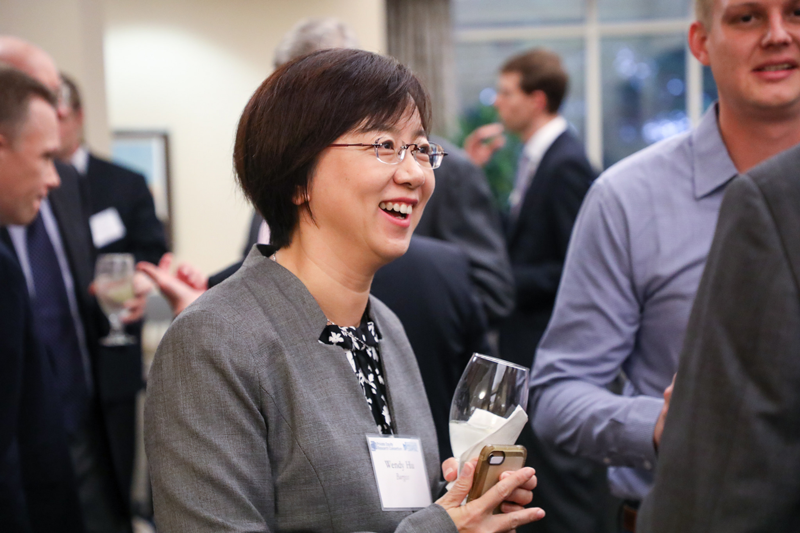 Wendy Hu, senior researcher at Burgiss, greets colleagues. Chairman and Founding Partner of the Institute of Private Capital Steve Maier was honored for his contributions to the institute over the last decade. 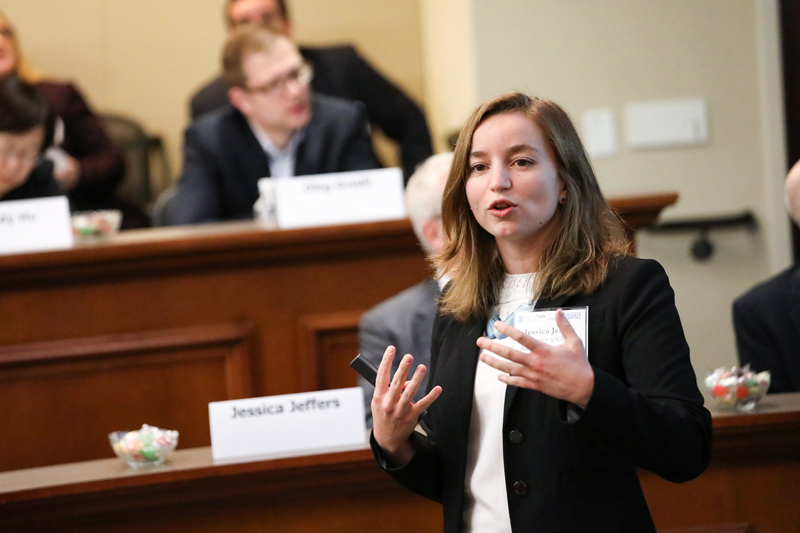 Since its inaugural meeting in 2008, PERC has played an active role in promoting research on private equity, helping to facilitate the field’s growth from niche specialization to thriving focus area within financial economics. For example, the work of PERC has helped popularize the Public Market Equivalent method as the preferred risk-adjusted performance metric for private equity. Most importantly, PERC’s partnership with Burgiss, a leading global provider of investment decision support tools for private capital, to provide research-quality data on a large sample of institutional-quality funds has enabled PERC and affiliated researchers to substantially grow the knowledge base in private equity over the last decade. So, what we have learned over the past 10 years about private equity? Prior to PERC’s founding, the common belief (based on Kaplan and Schoar (JF, 2005)) was that the average private equity fund returned (net of fees) roughly the same performance as the public markets. However, other research found substantially different performance. Ludovic Phalippou of the University of Oxford’s Saïd Business School and Oliver Gottschalg of HEC Paris documented a net-of-fee performance of three percent per year below the public markets, while various benchmarks provided by industry reports suggested better than public market performance. Yet none of the papers relied on large samples of independently verified and comprehensive PE fund cash flows. This lack of available data was the inspiration for the founding of PERC. Soon after, at the 2010 PERC symposium, the reliability and sensitivity to biases of existing databases was put into focus through the work of PERC affiliate Rudiger Stucke, who “killed” the Thomson VentureXpert database by showing that it retained fund reporting in its indices even after the fund stopped reporting to Thompson. This bias in the data led to underestimates of PE returns and the commonly cited statistic that “half of funds were upper-quartile” and the vast majority above average. It wasn’t until PERC 2011 that Bob Harris of the University of Virginia, Tim Jenkinson of the University of Oxford’s Saïd Business School and Steve Kaplan of the University of Chicago Booth School of Business presented new results with the Burgiss data showing that the average U.S. buyout fund return exceeded those of the public markets in almost all vintage years. In subsequent years, these findings on performance and the use of public market equivalents spread, and today these results are widely accepted by institutional investors of all types. Over the course of the last decade, other common beliefs about the private equity industry have evolved. We now know that performance persistence by fund firms has declined for buyouts, yet has remained for venture capital funds. We know that co-investments do not suffer from adverse selection and likely outperform primary fund investments. We better understand how hot fundraising markets and favorable credit conditions are associated with lower returns. 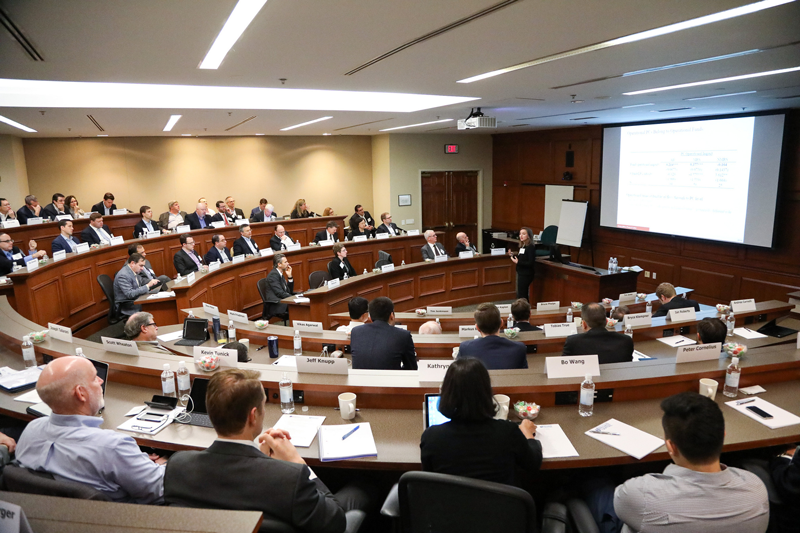 With all these past successes in mind, the participants of the 2018 PERC conference discussed contemporary research on the mechanics of private equity. Reiner Braun and Nils Dorau of TUM School of Management, Tim Jenkinson, and Daniel Urban of Erasmus University Rotterdam presented evidence that shows that while performance persistence has declined for buyout funds at the firm level, it remains at the deal partner (manager) level. Interestingly, the impact of individual managers is four times more important in explaining cross-sectional variation in returns than firm affiliation, and performance persistence is closely related to the manager’s network. Hence, we are a bit closer to answering the question of whom to follow: the fund manager or the fund firm. In practice and academia the growing importance of impact investing has raised questions as well. Christopher Geczy and David Musto of the University of Pennsylvania’s Wharton School, Jessica Jeffers of the University of Chicago Booth School of Business, and Anne Tucker of Georgia State University College of Law looked at how private equity contracts incorporate the addition of social goals. They found that funds contract directly on impact targets, but found differences in the degree of flexible and rigid contracting elements used by funds looking to meet or exceed market returns, compared to those with concessionary return and impact goals. The 2018 PERC Symposium tackled another question of constant concern to limited partners: how much capital is needed to be confident about servicing portfolio capital calls. Instead of relying on traditional cash flows models, Luis O’Shea and Vishv Jeet of Burgiss proposed to use a value-at-risk-based approach in order to account for the effect of diversification in higher moments of the distribution. This method also allows for limited partners to set confidence levels for their capital allocation strategy. New research also examined how to identify portfolios that can be utilized to benchmark and replicate PE. Erik Stafford of Harvard Business School showed that portfolios of similarly selected public equities with similar leverage and long holding periods produce returns that are highly consistent with those of an aggregated private equity index, net-of-fees. If replicated with fees, portfolios have the same growth but higher volatility characteristics. 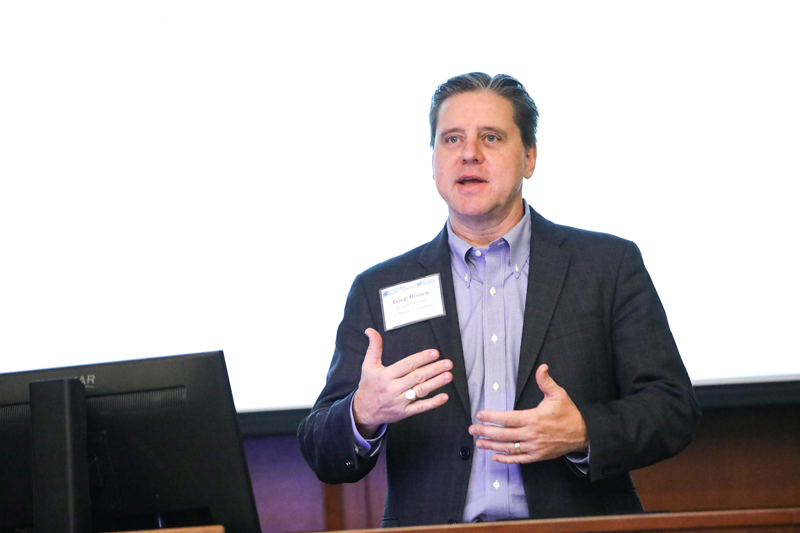 Alternatively, Brian Boyer, Taylor Nadauld and Keith Vorkink of Brigham Young University and Michael Weisbach of Ohio State University and NBER showed how to generate a private equity returns index based on transactions in the secondary market for PE funds. The panel discussion that followed their session addressed the notion of market risk and associated betas with these methods, especially the high betas estimated for buyout funds by the BNVW method. William Goetzmann of Yale School of Management, Elise Gourier of Queen Mary University of London, and Ludovic Phalippou proposed a new classification of private equity funds that better captures the heterogeneity in risk-return profiles among existing classifications. They also showed that large buyout and venture capital funds have the strongest diversification effects among these newly classified fund categories. 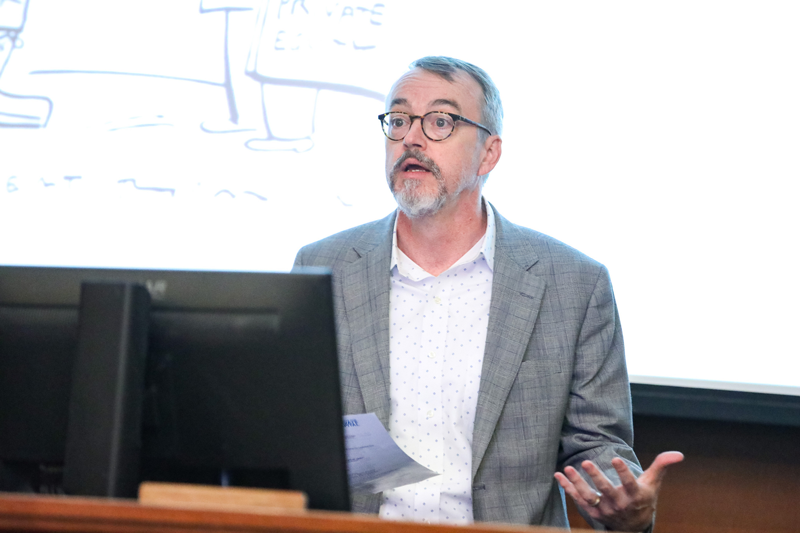 Charlie Eaton of the University of California – Merced and Sabrina Howell and Constantine Yannelis of NYU Stern School of Business examined the divergence in investor incentives and consumer interests in the market for PE-backed, for-profit higher education. They concluded that in such industries with high product intransparency, low competition or deferred customer feedback, there are lower incentives for private equity to generate consumer benefits along with investor returns. In contrast, Markus Biesinger and Çağatay Bircan of EBRD, and Alexander Ljungqvist of the Stockholm School of Economics presented that investor returns are strongly related to productivity improvements of the portfolio companies. Moreover, these also lead to net employment gain and persistent positive wage effects for workers. 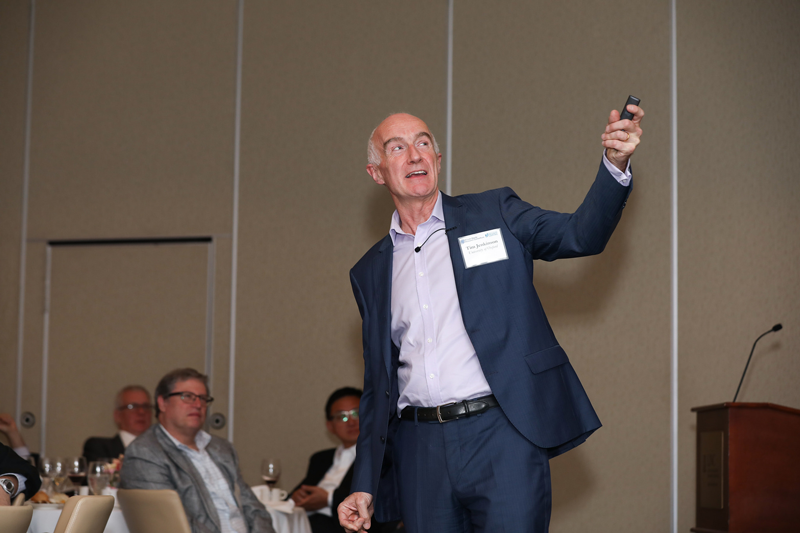 All in all, the 2018 PERC conference continued the tradition of direct and lively discussions of cutting-edge research in private equity. While we have certainly learned a great deal about private equity over the course of the last ten conferences, the mechanics of private capital markets are still far less explored than their public counterparts. PERC has played a prominent role in fostering an informed, supportive community of academics and practitioners who have generously shared their experience and knowledge. We are further looking to extend our network and global reach and welcome new members on our mission to generate new knowledge on private equity. Please help us spread the word!